The "Cover Toffe" has a padded lining to make it more comfortable in the kennels Toffe plastic.Tailored to all Toffe, the toffee cover attaches easily thanks to an adjustable band.SPECIFICATIONSLining: 100% polyester; 180 g / sqmFilling: 100% polyester (fiber)Size (cm): 58 x 38 x 22.. 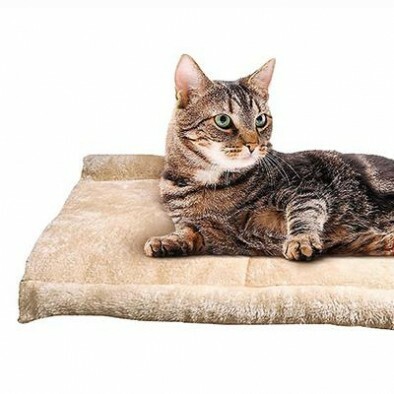 COZY Pet beds & cushions are made of high quality sofa fabrics, perfect to offer maximum comfort to our four-legged friends.The line is characterized by its style, perfect to decorate your home with taste and elegance. Very good quality, non-slip bottoms, removable liners make this line comforta..
Cuccia Rodi Fiori, rettangolare con cuscino estraibile, imbottito con morbida fibra di poliestere, base antiscivolo 30 x 45 cm..
structured soft plushextra soft and cuddlyprotects furniture from dirt and pet hairMeasurements: 100 ?? 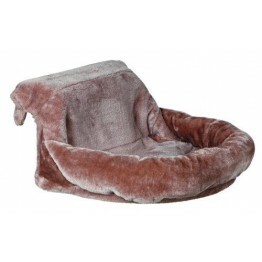 70 cm..
Fleece Plaid Super Soft braun,60 x 85 cm..
Katzenliege Paradies zusammenklappbarBezug abnehmbar Artikel Nr.GrösseFarbe NY72033-0750 x 32 cmgrau PfotenStk.1NY72033-0850 x 32 cmbeige PfotenStk.1..
Komfortbett braun CENO m. Haube..
lamb fur lookpolyester coverfoam padding/polyester fleece fillingMeasurements: 48 ?? 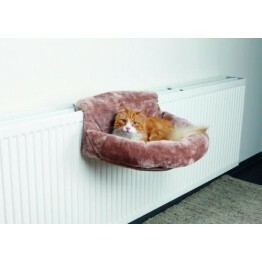 37 cm..
with long-haired plush coverwith metal framecan be attached to most cat scratching posts instead of a platformcolour: creamMeasurements: ø 38 cmup to: 4,5 kg..
Kuschelsack XL extra-strong, ø 45cm, lichtgrau..
plush coverstable metal framewith adjustable holding device (9?? ?12 cm)for all conventional radiatorsMeasurements: 58 ?? 30 ?? 38 cmPattern: snow leopard..
MILA Mikrofaser (100% Polyester)mit Wendekissen (eine Seite Softplüsch)Bezug komplett abnehmbar mit ReissverschlussFüllung Watte (Polyester)mit Anti-Rutsch-Noppen Artikel Nr.GrösseFarbe NY6013545 x 40 cmH 18 cmgrauStk.1NY6013660 x 48 cmH 19 cmgrauStk.1NY6013775 x 60 cmH 23..
MILA Mikrofaser (100% Polyester)mit Wendekissen (eine Seite Softplüsch)Bezug komplett abnehmbar mit ReissverschlussFüllung Watte (Polyester)mit Anti-Rutsch-Noppen Artikel Nr.GrösseFarbe NY6013845 x 40 cmH 18 cmaltrosaStk.1NY6013960 x 48 cmH 19 cmaltrosaStk.1..
Baldrian Mini-Kissen aus Baumwolle, 9.5x6.5cm..
Mit Schafswoll-Imitat bezogene Liegefläche, für alle Fensterbänke bis 4.5cm Dicke geeignet.Einfach mit Hilfe der mitgelieferten Schraubklemmen an der Fensterbank befestigen.Masse: 40x29x2cm, beige..
Toffee is a doghouse in high quality plastic, suitable for dogs and cats. It is distinguished from other plastic kennels for the simple design and trendy.The bottom is equipped with micro holes for added ventilation while the non-slip rubber feet increase its stability.Size (cm): 58 (int. 36) x 38 x..
50 x 38 x 22..